Yet another heart checkup for Nathan. We took him for his 6 month Echo cardiogram and consult last Friday. His levels are still the same, no change. He is still hanging out in the severe levels but his heart ventricles have not been thickening to compensate for the pressure. That is good news. The echo cardiogram pictures are showing us a more accurate look at the makeup of his aortic heart valve. 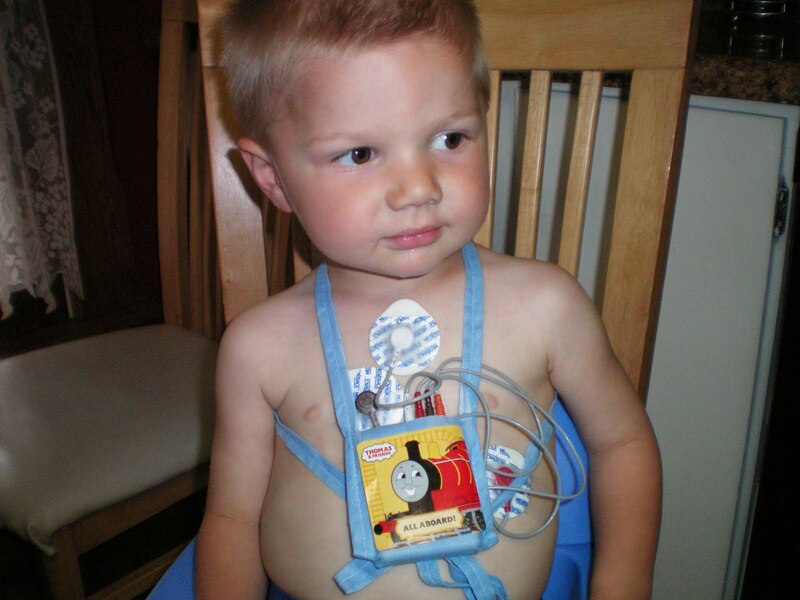 His case has been sent over for review to the children's heart intervention clinic. It is not clear at this time if his heart valve would perforate correctly from the balloon valvulopasty. So his ultrasounds will be reviewed by more specialists. That wasn't what I wanted to hear but I will sit tight and wait on the Lord for that. 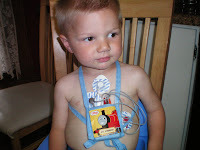 Because Nathan has been at these levels for some time the pediatric cardiologist felt it was time to get a 24 hour EKG. So on Friday we were sent home with Nathan wired with a portable EKG machine. I didn't think he would handle this well, but we told Nathan he could be like a robot (super powers) and he tolerated it pretty well. We will not know the results of this test for a week or two, maybe three. 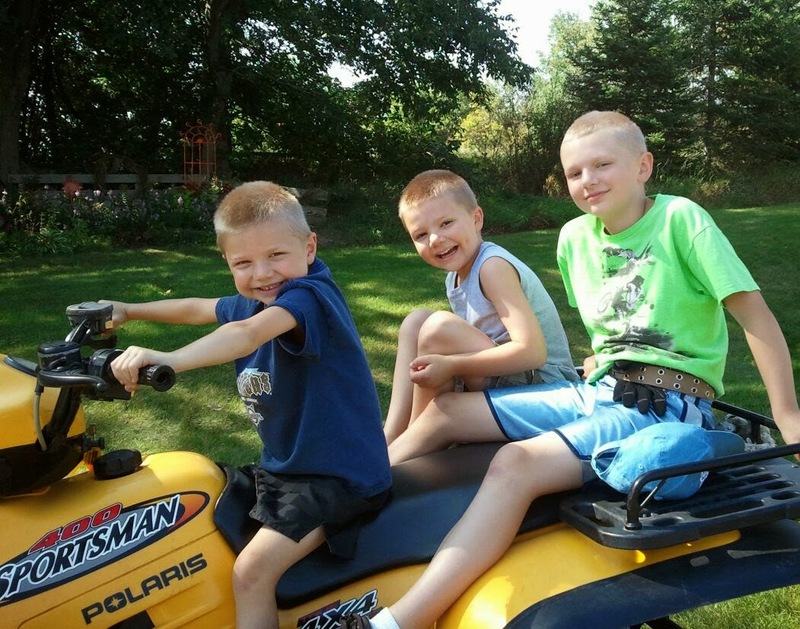 David and Caleb will also have an appointment in June for Echo cardiograms to screen them for the same defect. Just in case either or both have the same problem but not enough to hear thru a stethoscope.